We're ready for new AirPods. Left and right ear versions of AirPods could soon be a relic of the past, based on one of Apple’s most recent patents that envisions a one-size-fits-all version of earbuds. Apple’s completely redesigned AirPods aren’t expected to arrive until 2020, but if they use some of the tech proposed in the recently disclosed filing, they could be the smartest earbuds we’ve ever seen. 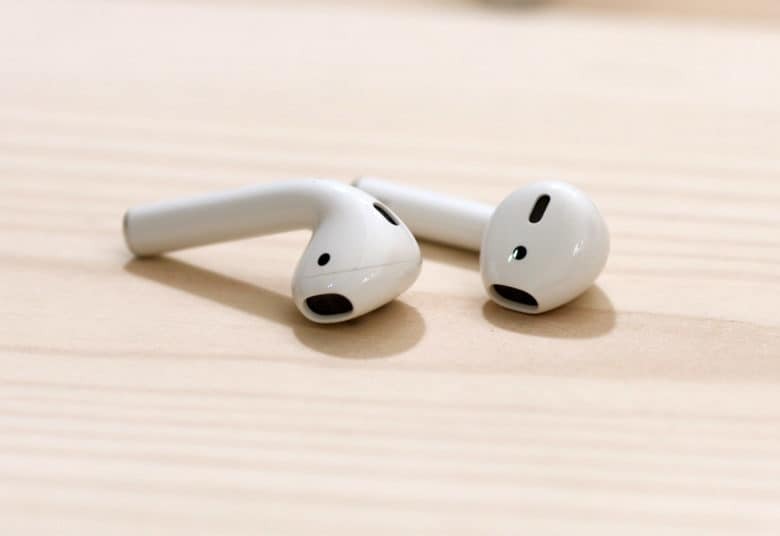 Recent rumors claimed Apple will come out with updated AirPods in early 2019 with a completely redesigned version debuting sometime in 2020. Wireless charging will likely be the main new feature in the 2019 version. Info on what Apple plans to add to the AirPods in 2020 is scarce. Biometric sensors are likely to be a new feature and the new patent provides hints on how they’ll be used. U.S. patent #US010149041 describes how Apple proposes to use one or more biometric sensors to configure earbuds. The patent was filed in October of 2017 and in one version, the earbud housing is symmetric so it can be worn interchangeably in either a left or a right ear of a user. 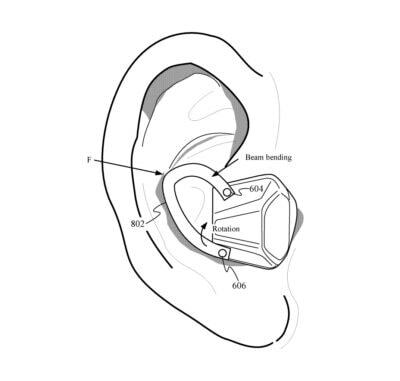 “In such an embodiment, the earbud can include a sensor and circuitry configured to determine and alter operation of the earbud in accordance to which ear the earbud is determined to be sitting in,” the patent abstract states. The earbuds would also be able to single channel audio from a multi-channel source to one ear. One of the design drawings in Apple’s patent. Apple’s patent has a couple of different design ideas on how to make an earbud that fits in all sizes of ears. Most of the designs have a foam loop that expands into the ear cavity to apply constant pressure. Of course, just because Apple filed a patent on this stuff doesn’t mean the tech will actually make it into the AirPods. We know Apple is interested in adding biometric sensors to AirPods to provide heart-rate and other measurements. Utilizing the sensors for other tricks would make sense though and distinguish AirPods from other wireless earbud options.